If you’re a business owner and you or your employees use a vehicle for business-related deliveries or to carry certain materials to and from a job site, you may need a commercial auto insurance policy that’s tailored to more closely suit the needs-and risks-of a business vehicle operator. Do you need more liability coverage than your personal auto policy provides? Generally, a commercial auto policy provides higher limits of liability, but less or no coverage in areas that are typically not associated with commercial auto risks. 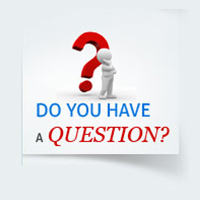 Do you need special coverage for situations associated with conducting business? Commercial auto policies also usually offer certain coverages-such as hired and non-owned auto coverage and coverage for towing a trailer for business use-that are not available with personal auto policies. Do you need to list any employees as drivers? You can do this with a commercial auto insurance policy. Do you use your vehicle for business purposes? If you use your vehicle for things like pizza or newspaper delivery, catering, door-to-door consulting service, landscaping or snowplowing service, logging business, day care/church retreat van service and/or farm-to-market delivery, you might need a commercial auto policy. It may seem harmless to answer a quick call, grab a bite to eat or let your dog ride in your lap when you’re behind the wheel. But in 2008, accidents caused by distracted drivers injured about 515,000 people. Hit the “off” button. According to the Federal Motor Carrier Safety Administration, for every 4.6 seconds spent texting behind the wheel, drivers travel the length of a football field – without looking up. And talking on your cell phone delays your reaction time, even if you use a hands-free model. Your e-mail, voicemail and return calls can wait until after the trip. So, turn off your phone. Eat up before you start up. An Exxon survey of 1,000 drivers showed that more than 70 percent liked to use their steering wheels as tray tables and 83 percent used their center consoles as beverage carts. To drive with your hands firmly on the wheel and avoid staining your new shirt, save the burgers, tacos and cups of coffee for your home or office. Pull over. Maps and GPS systems are handy tools to get you from point A to point B. When you need to check your grid or change your destination, take the next exit or stop at the nearest rest area. Pulling over on the side of the road is a dangerous and unsafe alternative. Keep ‘em caged. Keep all of your passengers safe by securing your pets in a harness or a crate. They remain in one place, freeing you to focus on what’s in front of you rather than the rearview mirror. To learn more on how to avoid DWD, visit www.distraction.gov. Argue all you like about global warming, but for now, winter is coming! Roof: Accumulated ice & snow can cause roof collapse-don’t let clogged drains trap ice/snow on the roof. Sidewalk: Are you responsible for clearing ice/snow from your sidewalk? Failure to do so can result in fines and injury suits. Water Pipes: Burst pipes are bad news! Avoid problems by using insulation; cracks and openings in outside walls and foundations near pipes should be sealed with caulk. Winter Shut-Off: Don’t delay draining and shutting off all outside water systems. Maintaining Heat: Saving on fuel during even brief absences can be a false economy if insufficient heat causes freezing problems. Keep the building thermostat at a “normal” night-time temperature; investigate adding a temperature monitor to your building alarms system. What’s covered by my car insurance? If you aren’t sure what’s covered by your car insurance, you’re not alone. In this article, you’ll find some of the most frequently asked questions of insurance agents at Insurance Town & Country-and their answers-so that you can be confident when making decisions about your car insurance. How can I make sure I have “full coverage”? Generally, people ask for “full coverage” when they want more than just what’s required by the state. Most states require that all drivers carry Liability coverage, which pays for damage to other vehicles or injuries to other people that you cause. By adding what is commonly referred to as “physical damage” coverages, which include Comprehensive and Collision insurance, damage to your own vehicle is also covered, regardless of who caused the crash. Once you’ve chosen these coverages, you might also want to add insurance that will cover your medical payments, protect you if you’re hit by an uninsured driver, or come to the rescue if you break down on the side of the road. One of the insurance agents at Insurance Town & Country can walk you through all of your options and help you choose the policy that’s right for you. If I get into a fender bender when driving a rental car, would it be covered under my car insurance? Generally, if you have liability and physical damage coverages on your car insurance policy, there’s a good chance you’ll be covered in a rental car. Call your independent agent to get the facts before you turn down that extra coverage. Another option: check with your credit card company. Some credit cards provide coverage at no charge if you use their card to pay for the rental. Restrictions may apply, so be sure to ask for an exact description of what’s covered. A friend just borrowed my car. Will my car insurance pay for the damages if he or she causes an accident? In most states, insurance coverage follows the car, so your car insurance would pay for the damage if your friend causes a wreck. Two things to keep in mind: if the cost to repair that damage exceeds the amount allowed by your policy, your friend may need to make a claim on his or her car insurance policy to pay the difference. And, your rate may go up as a result of the claim. For more information, talk to one of the agents at Insurance Town & Country today. 303.388.7216. By simply adding a snowplow, you transformed your pickup into a source of extra winter income. Your side business baking cakes has grown and you now pay someone to deliver your tasty treats. Congratulations! But remember that starting a new business means a whole new set of rules when it comes to insurance. People who haven’t been in business for long might not be aware that vehicles used for business require different insurance. An independent insurance agent can help you understand the unique needs of your business and put together a package that offers the best protection. Don’t get into an accident only to discover that your claim won’t be covered because it happened while you were clearing snow from your neighbor’s driveway, and you didn’t have the right coverage. Commercial auto policies generally provide a higher level of liability limits. Let’s face it – larger vehicles cause more damage. Time is money. Your local independent agent can find tailored coverages to meet your needs. Specialized claims reps can get your business vehicle back in service as quickly as possible. A local, independent insurance agent can help you better understand business needs and put together a package that meets your needs. Many people consult an insurance agent or broker for their car insurance needs, and for good reason: agents can help you navigate the complicated world of insurance and help you get the best deal. But did you know that there are different kinds of insurance agents and brokers – and the one you choose can make a big difference in the type of service you get and the choices you’re offered? Captive agents represent just one insurance company. 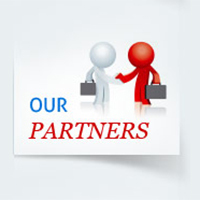 As part of their business agreement, they offer only that company’s products, services, and coverages. Independent agents and brokers offer products from several different companies. Often, they can offer more choices and savings because they can review multiple options to find the right mix of companies, coverages, and rates for you. Because they represent many different insurance companies, independent agents can allow you to shop around with competing carriers and get you the best deal. So rather than spending hours gathering quotes from various companies, you can get it done with one simple call or visit to your independent agent or broker. Another plus to working with an independent agent or broker is their ability to offer guidance for all your vehicle insurance needs. In some cases, bundling your car, motorcycle, boat, and/or RV policies together can save you big bucks. Leading car insurer Progressive offers multi-vehicle discounts, so don’t leave out any of your cars or other “toys” when getting your insurance quote. To learn more, give us a call 303.388.7216. Insurance Town & Country would love to be your Independent Agent! With vacation season in full swing, you may be in the process of planning an annual getaway. While most people spend lots of time looking for ways to maximize their budget, one costly decision is often left to the last minute-whether to buy the optional insurance offered by a rental car company. Consult with an independent insurance agency – like Insurance Town & Country. As licensed insurance professionals, independent insurance agents and brokers can review and evaluate your policies to find out if the coverage you have on your personal vehicle provides protection for you in a rental car. Check with your credit card company. Some credit card companies provide coverage at no charge if you use their card to charge the cost of the rental. However, some restrictions may apply so be sure to ask for a description of the exact coverages provided. Take your personal auto insurance policy and details of your coverages with you to the rental car counter. You may be asked a question that these papers can help answer-or, if you’re in doubt, you’ll have your agent’s name and phone number readily available. “We want people to have the information they need to make more informed decisions about car insurance,” said Crawley. 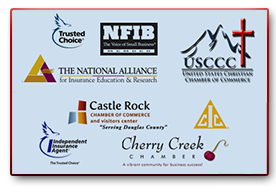 To learn more about all your independent agency can offer you, contact Insurance Town & Country. Here are some questions that can help you determine if you might need a commercial auto policy instead of a personal auto policy, courtesy of Insurance Town & Country. Do you need special coverage for situations associated with con-ducting business? Commercial auto policies also usually offer certain coverages-such as hired and non-owned auto coverage and coverage for towing a trailer for business use-that are not available with personal auto policies. Insurance Town & Country is an independent insurance agency – trained, licensed insurance professionals who offer personal service and advice. We can help match you with the type of policy that best suits your needs and those of your company. 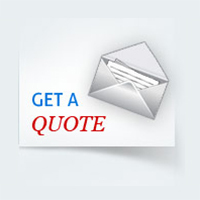 To learn more about all an independent agency offers, visit progressiveagent.com or give us a call. 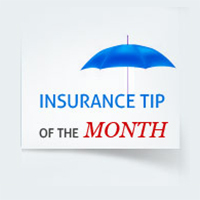 Insurance is promise of reimbursement in the case of loss. In reality when you buy insurance you are given a piece of paper called an insurance policy that gives details of the types of losses you or your designated loved ones will be compensated for. Many consumers fail to realize that this policy document also lists many clauses under which the insurance companies can deny claims. Suppose you are covered for theft by your home insurance policy. If you invite someone to your home and they steal your laptop or some other item that they might fancy. Are you sure your home insurance would cover such theft? There are far too many exclusions in insurance policies that people fail to understand. Sadly these exclusions only come into play when claims are denied. One thing is easy to foretell: Unpredictable weather can cause reduced visibility and hazardous driving conditions that make it challenging for even the most experienced drivers. Fortunately, there are ways to protect yourself, your passengers and your car. Steer into a skid. Remember: Locked wheels lead. If your rear tires are in a skid and “locked,” the rear of your car will start sliding to lead the car down the road. If this happens, steer into the skid, not away, and remember, don’t brake during a skid. For other tips to keep you safe on the road and keep your insurance rates down, talk to your independent agent or broker.